This is a special, invitation-only event for advisors whose chapters have ever attended Recruitment Boot Camp (RBC), and have made progress on their growth action plans with the potential to make even more progress! The chance to experience what collegians learned when they attended RBC. Information about your role in assisting with action plan implementation. How you can help transition the action plan to incoming officers. How you can set your own advisor action plan goals! David has challenged students at over 500 campuses and numerous fraternal conventions. 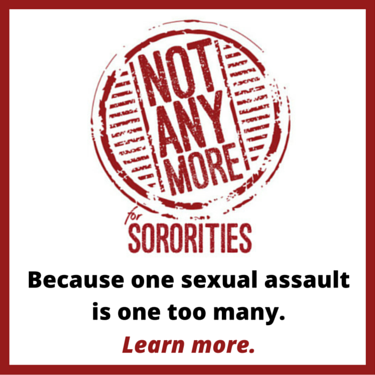 He’s held many volunteer roles in his fraternity, Sigma Phi Epsilon, and served on the Chapter Advisory Board for Alpha Sigma Tau’s Delta Phi Chapter at New York University for 10 years. After graduating from the University of Maryland, he started teaching fraternities how to recruit. Campuses kept asking him to come back, so David created Recruitment Boot Camp. In the last 10 years, RBC by LaunchPoint Solutions has helped over 10,000 fraternity and sorority chapters, as well as hundreds of fraternity/sorority communities across North America to recruit better and more members. 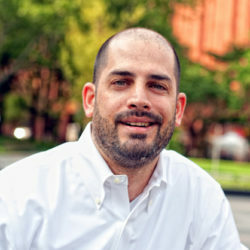 He is the co-founder of LaunchPoint Solutions, HazingPrevention.org, and the award-winning speakers agency, CAMPUSPEAK. David has been recognized for his work advancing the fraternal movement by the Association of Fraternity Advisors with the prestigious Anson Award. Both his own fraternity and alma mater, the University of Maryland, have recognized his impact on the undergraduate fraternal experience. Additionally, David is a Crown Degree recipient of Alpha Sigma Alpha and has also been recognized with the highest honors offered to a non-member by both Sigma Alpha Epsilon and Phi Mu Delta. For his service as the Assistant Chapter Advisor to the Delta Phi Chapter of Alpha Sigma Tau, David was awarded both the Helen R. Garman Advisor Award and the McCrory Order of Interfraternity Excellence. Support the National Organization policies related to growth. Commit to using National Organization Growth resources. Commit to following through on your own action plan. Transition incoming Growth Team officers so they understand their role and responsibilities. Help incoming Growth Team officers set new intentional growth goals, and coach those officers to achieve them. Advisors arrive. Registration will be open at noon in the lobby. Please meet in the lobby at 6:30 p.m. to board the shuttle to Headquarters! Reception is from 7 p.m. to 9 p.m. There will be heavy appetizers and refreshments available at Headquarters. There will also be a ShopBox from the Emerald Boutique – so come ready to stock up on awesome Alpha Sigma Tau gear! Breakfast buffet at the 120 West Market Street Restaurant located on the lobby level of the Hilton. The hotel will provide you with two breakfast buffet tickets when you check into the hotel. Provide your ticket to your server when you have breakfast. Dinner on your own. Check out some great Indianapolis restaurants here. One-on-one meetings with Headquarters Staff. You will be assigned an appointment slot with a Headquarters staff member. You will receive an email from Ashley Smith with your time slot and location. Breakfast buffet at the 120 West Market Street Restaurant. The hotel will provide you with two breakfast buffet tickets when you check into the hotel. Provide your ticket to your server when you have breakfast. Advisors depart. If you have extra time before you leave, there are lots of attractions and things to do in downtown Indianapolis. Check out some options here. Advisor Academy was a great way to reach out to advisors and learn the skills necessary to help collegians.